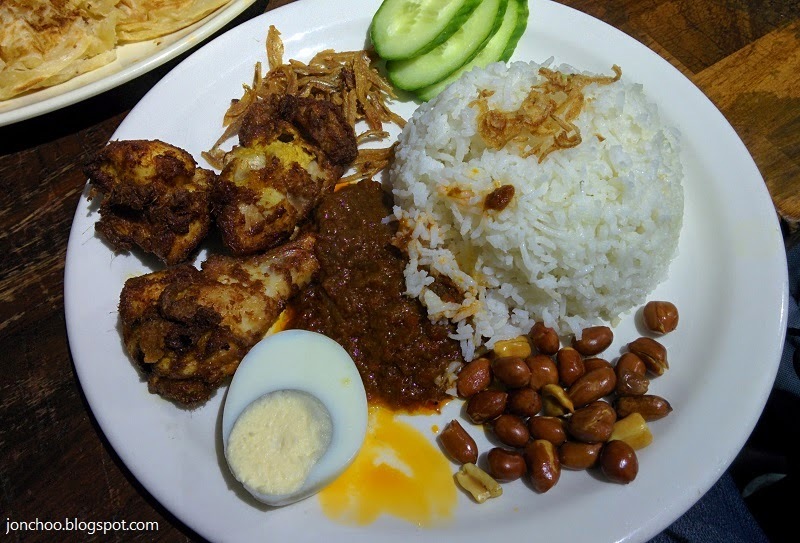 Roti King is a Malaysian cafe/restaurant located close to London Euston railway station. Formerly located in Charring Cross, they moved there earlier this year. Good and cheap Malaysian food are hard to come by in London. There are a couple - for example Malaysian Hall in Bayswater area is run by the Malaysian government, and Malaysian Deli in our very own Brockley. But Roti King does something that neither of those does - proper roti canai. 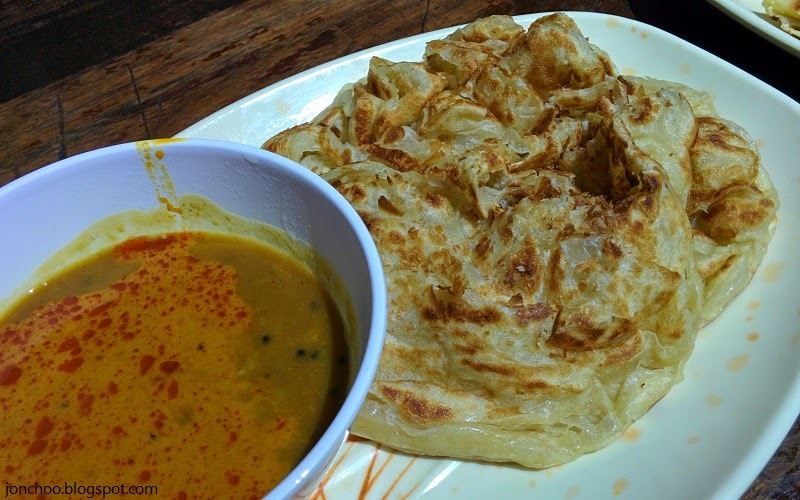 Roti canai is a type of fluffy flat bread sold in Malaysia, an is normally eaten as a side with curry or dhal (lentil) sauce. It is a versatile dish, and can be combined with other ingredients like eggs and meat, but the best is still the plain ol kind. It is light and fluffier that the kind of flatbread that are normally served in Indian restaurants in this country. When I used to live in Malaysia, I would have it for breakfast, lunch an occasionally, dinner. In addition to roti canai, Roti King also serves a wide range of traditional hawker style dishes. Among them is the nasi lemak - a coconut rice dish served with anchovies, eggs, peanuts, chicken curry and sambal chili paste. While nasi lemak are common in London, Roti King's version is perhaps one of the most authentic. Other dishes includes mee goreng (fried yellow noodles), char keoy teow (fried flat noodles) and laksa noodles (self explanatory as it is a pretty popular dish now - even Sainsbury's do a horrible version of it). The restaurant is located in the basement of building on Doric Way and can sit about 30 people. It is very tight and can get busy on Fridays an Saturdays (they are not open on Sundays). It is cash only. Service can be chaotic, but they are always friendly. No alcohol on the menu, but you can bring your own. Whatever it is you decide to eat, you have to at least order a side of plain roti canai dish (£4 for two). Carb-free diet be damn.